The Enterprise investigates the deaths of the crew of the USS Lantree, who all died of old age. Grant and Rob have not succumbed yet, but this episode does a good job of killing itself off. Much discussion of eugenics, rapid-ageing, and Pulaski. First Broadcast: 30th Jan 1989. Posted in Season 2, TNGTagged Age, ageing, Biology, Genetics, Medicine, Old Age, Pulaski, TransporterBookmark the permalink. Another very interesting podcast, thanks! I was particularly curious about your comparison of the various doctors, and the comment on the place on Enterprise in the order of favourite series. I have heard comments elsewhere that DS9 is often a favourite show, and Voyager and Enterprise are viewed less favourable. I wondered if this was a particularly US perspective, but your comments suggest not. DS9 is my least favourite series. I does get better, particularly when the tone shifts and it gets darker (and for some reason, Sisko seems a better character when he shaves his head! ), but generally I don’t like the characters, the Bajoran/or many of the themes. To me, Voyager was a big improvement, with a simple, effective story arc, although generally the first season was on the weaker side. While I didntlike Kes or Kim, Janeway, B’lanna and The Doctor were all good characters (as was the short term presence of Seska). As the series progressed, the stories got better, we got rid of Kes and saw Seven join the crew. 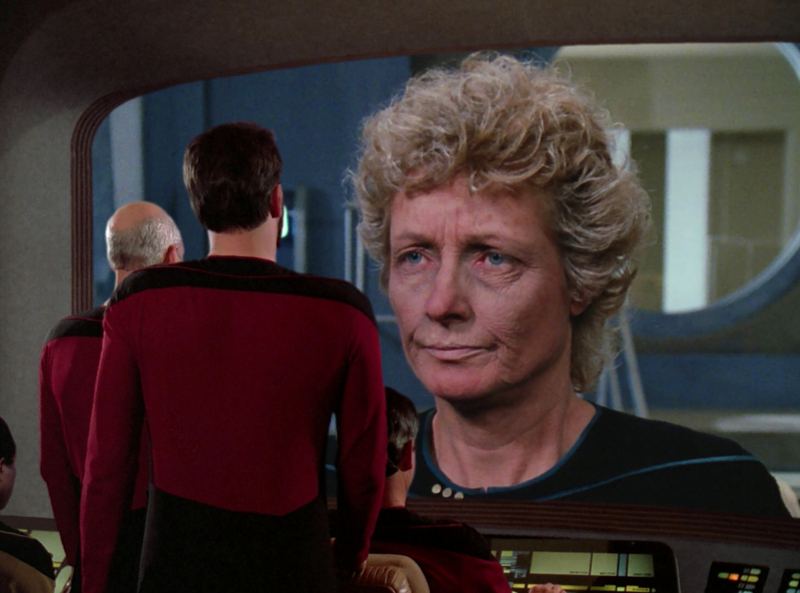 While as e re in Star Trek, storylines varied in quality, to my mind the series was better than its modern predecessors. Finally, although Enterprise started quite weakly (which seems to be a modern trait of Star Trek) after series one, the arc and stories seemed to me progressively better until the final season produced successive, excellent episodes: TOS like return to WW2, the mirror universe, Romulan drones etc. I would rank Enterprise as my favourite of the three modern series. While Dr. Phlox was the only character I loved, apart from Malcolm (the uptight Brit trope! ), I was quite positive about all the other characters.. I am always perplexed by what appears to be the prevailing view on the comparative merits of these series, and I would welcome it if you made more comparisons between them. Certainly, you need to come up with your all time favourite crew by the time you finish podding! Great podcast. Thanks for the shout-out! You talk about the problems and morality of the transporter. Have you seen The Prestige? It is the one where Tesla (played by David Bowie) creates basically a “transporter”. I would like to see if this is relative to your conversation. On the transporter. At least twice I can think of off the top of my head our essence is reduced to an energy complex that is simply housed in our bodies. Assuming this is true could that energy not remain intact during transport, our bodies simply being deconstructed and reconstructed around that energy? Also, I can’t wait till we get to the Riker/Thomas episode.